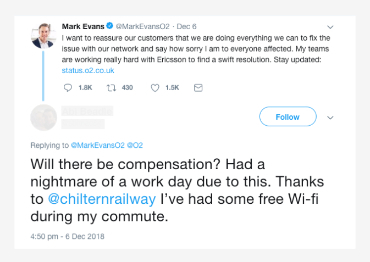 Icomera saw a significant increase in demand for its onboard Wi-Fi services from UK rail passengers during last week’s O2 network outage in the UK; some transport operators experienced a 50% jump in Wi-Fi consumption at peak periods. 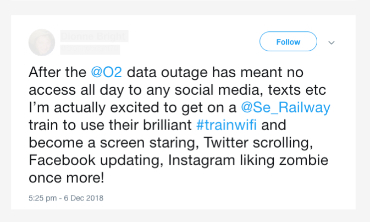 O2 is one of the UK’s largest mobile phone networks. The outage on December 6th and 7th meant that tens of millions of customers were unable to use their 3G and 4G services to access the Internet.